One is a microphone that could have been made 40 years ago, with handcrafted, solid brass parts and a very simple tube circuit. The other is seemingly as modern and transparent as it could be… except that it is designed for digital filtering that makes it sound like a vintage mic. Or, rather, like a bunch of vintage mics. If you were to ask me for advice about your new microphone company, I would probably not recommend launching with a hand-made, $4000 microphone. But I am so glad that Soyuz Microphones didn’t ask. The Soyuz SU-017 is a tube condenser with a strong Russian heritage. Nearly every part of the mic is made in Tula, Russia. The brass housing, transformer, and capsule are made in the Soyuz factory. The mic’s Cardioid capsule is detachable. Soyuz is producing large-diaphragm Omni and Figure-8 heads. Soyuz announced a small-diaphragm condenser as well, the SU-012. This is a transformerless FET mic, whose circuit shares some similarities with the Oktava MK-012 (also made in Tula). The SU-012 capsules are interchangeable with the SU-017, giving owners of both microphones access to large- and small-diaphragm capsules in multiple patterns, in both tube-and-transformer and transformerless FET topologies. 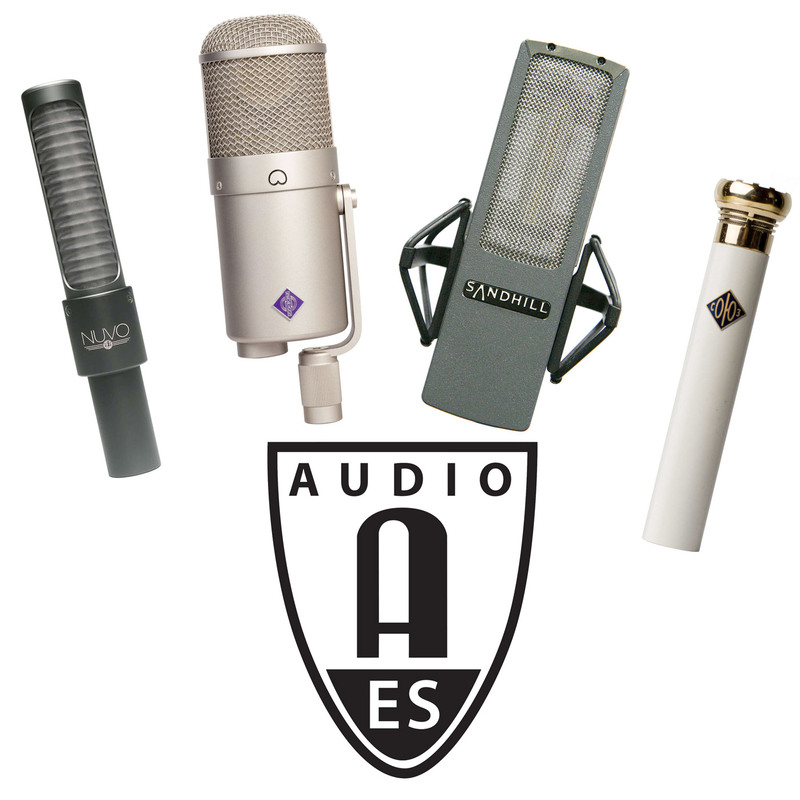 The other “new vintage” mic revealed at NAMM is remarkable for very different reasons. The Slate Digital ML-1 is a large-diaphragm condenser with a modern aesthetic and, reportedly, a neutral/transparent sound. The magic of this device isn’t in the hardware, but the software. Slate Digital’s “Virtual Microphone System” takes the signal from the ML-1 and applies DSP manipulation to recreate the sound of any number of vintage mic and preamp combinations, e.g. the AKG C12, Neumann U47, Telefunken Ela M 251 through vintage Neve, SSL, and API pre’s. The ML-2 is the small-diaphragm companion; the VMS will include models of numerous small-diaphragm condensers as well as dynamics (the SM57!) and ribbons (the R-121). According to Stephen Slate, the algorithm used by the VMS accounts for frequency response, harmonic coloration, phase coherency, and saturation characteristics. The system relies on the hardware components of the VMS, including Slate’s 2-channel preamp/converter, to provide a fixed starting point from which to begin the signal manipulation. The LCT 550 is the latest in Lewitt’s Authentica series of large-diaphragm studio condensers. Its primary innovation is its extraordinary noise floor, 3dBA. It shares the backlit, pushbutton interface with the other mics in the series, and offers a full complement of pad and filter options to ensure its versatility. Lewitt introduced their first USB microphone as well, the DGT 650. But this is no “me, too” USB mic. It is a stereo condenser mic and 2-channel digital audio interface. It ships with a small breakout box that can be attached to a host computer via USB, or to an iOS device via its Lightning connector. This design allows signer/songwriters to record guitar and vocals simultaneously — one channel of vocals, one channel of guitar or keyboard. And it works at 24 bit, 96 kHz. None of the aforementioned mics has been released yet, so we’ll fill in the details as they become available. I have another capsule that is spare i want to make that capsule work. That capsule is same in size and shape. So please provide me a circuit that can make it work like this bm700. Just plug to microphone female jack of pc soundcard and start recording. I’ll wait for your reply. Thank You..!! @Asim, it is my experience that the BM-700 / BM-800 circuits and capsules do not sound very good. I could point you to replacements that significantly upgrade the sound of the microphone. But they would require using a real audio interface (XLR), not an unbalanced quarter-inch or RCA jack as you seem to be desiring.